“Is it possible to obtain patent protection for second and further medical use of known compounds or compositions?” this is an important question debated between governments and pharmaceutical companies. Protection for a patent for second and further medical use typically relates to the use of a known substance or composition for a therapeutic purpose that is different or new to that which was identified when the substance or composition was new. When the substance or composition is “old”, it can no longer be protected as such, and understandably there is a strong desire on the part of pharmaceutical companies to protect their investment in researching the new application of the known substance or composition. In the opinion of at least some of the member governments of Gulf Cooperation Council (GCC), such as the United Arab Emirates (UAE) and Saudi Arabia (KSA), patent applications that include claims in respect of second and further medical use lack novelty. Pharmaceutical companies may argue that the method of using the relevant compounds or compositions is new, but the mentioned governments take the view that such ways or methods of use are excluded from protection by law as method of treatment. It is important for patent applicants to bear in mind that novelty, inventive step and industrial applicability (non-obviousness) are the main three conditions for the granting of a patent application. However, in addition an invention should also not be excluded from the protection afforded by law, which exclusions include methods of treatment of humans and animals by diagnosis, therapy and surgery as specified in for example paragraph 3/B of article 27 of the Agreement on Trade-Related Aspects of Intellectual Property Rights (TRIPS). During the last few years, pharmaceutical companies have put pressure on governments to grant protection to inventions which include claims of second and further medical use in order to safeguard their investments in research and development and they have succeeded in at least some jurisdictions. An example of where such pressures resulted in a greater acceptance of second medical use claims is the European Patent Office (EPO). In EISAI/Second Medical Indication, the Enlarged Board of Appeal (EBA) of the EPO considered the protection of second and further medical uses. In this regard the EBA found that second and further medical uses were excluded from protection in terms of articles 54(5) and 52(4) of the European Patent Convention (EPC1973) as inter alia methods for treatment of the human or animal body. To circumvent the exclusion provided for in law, the EBA accepted a practice followed by the Swiss Federal Intellectual Property Office related to certain claims (Swiss-type claims). The Swiss Federal Intellectual Property Office accepted claims that were directed to the use of a substance or composition, not as a method of treatment, but for the manufacture of a medicament for a new therapeutic application. By accepting this form of claim, the EBA accordingly introduced not a form of protection for second medical use as such, but protection for use of a known substance or composition for the manufacture of a medicament for a new therapeutic purpose. It will be noted that in a Swiss-type claim “novelty” relates to the use of the known compound or substance in the manufacturing of a product for the treatment of a disease, and not to the way the substance is used as a method of treatment, or the composition of the substance itself. Swiss-type claims were accordingly accepted at the European Patent Office (EPO) following the EBA’s decision in EISAI/Second Medical Indication, until the EPC 2000 addressed the issue of second and further medical use patents specifically. A new article 54(5) in EPC 2000 confirmed the principles underpinning the EISAI/Second Medical Indication decision, providing that new applications or uses of known substances are protectable. Second and further medical use patents are accordingly now accepted by the EPO. 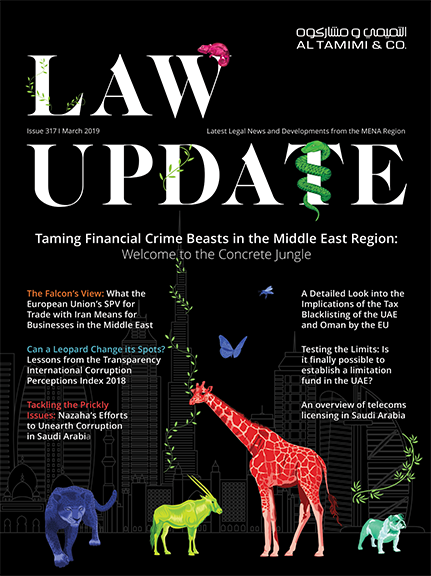 In the UAE, KSA and at the GCC Patent Office the issue of second and further medical use has not specifically been addressed in local laws, however upon reviewing granted pharmaceutical patent applications in these jurisdictions and the results of the substantive examinations, it would appear as if Swiss-type claims are in fact allowed. The UAE has followed the same trend as the GCC Patent Office and the Saudi Arabian Patent Office as can be seen from the UAE patent application no. 171/1998 where claim no. 11 is an amended Swiss-type claim. Claims of second and further medical use are however, still not acceptable in the UAE, KSA and at the GCC Patent Office as illustrated for example in the Saudi Arabian patent application no. 8290018 where the examiner requested the applicant to change the format of certain claims to the Swiss-type format in order to allow the subject patent. b) Methods of treatment of humans and animals by diagnosis, therapy and surgery. c) Scientific principles, discoveries, theories and mathematical methods. Another possible reason for the rejection by the mentioned GCC governments of patents of second and further medical use may be to guard against the extension of the term of protection of pharmaceutical patents for first medical use through the protection of another patent for so called second and further medical use. It is possible that a continued rejection of patent claims for second and further medical use may motivate pharmaceutical companies to disclose more of the features of novel compounds and their uses in the initial patent applications, but it is more likely that pharmaceutical companies will continue to work for the amendment of applicable laws in order to ensure adequate protection for the significant research and development investments required to identify and safeguard second and further uses of know substances and compounds. In summary, the UAE, KSA and the GCC Patent Office grant protection for novel pharmaceutical compounds and for the first medical use of such compounds, but based on current practices will not do so in respect of second and further medical use, even if Swiss-type claim are allowed.